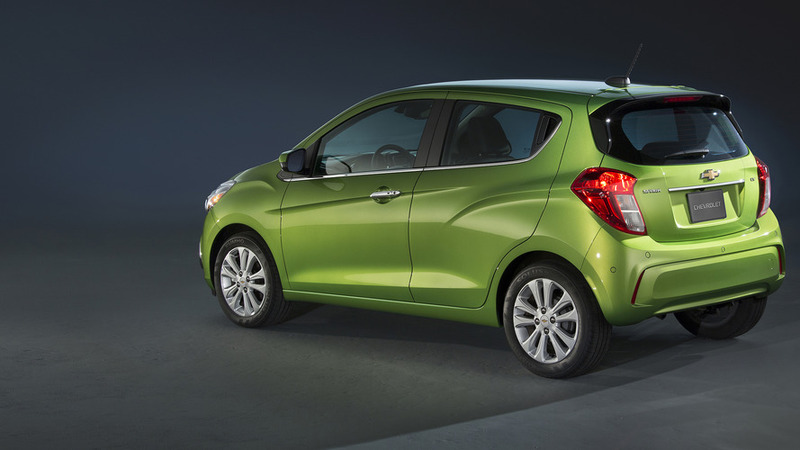 Chevy Spark Activ is the smallest crossover in L.A.
Well, it is not actually a crossover in the true sense of the word. It's more like a jacked-up, ruggedized city car. 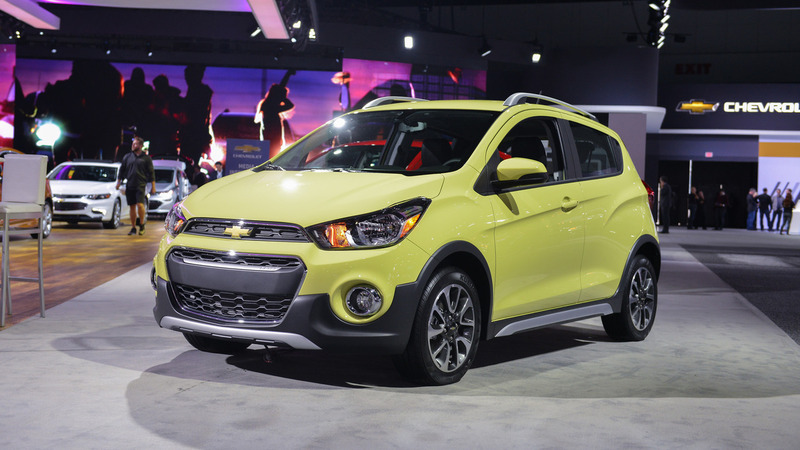 The crossover assault is taking over the mini car segment as well and now Chevy is showing the more adventurous side of its pint-sized Spark. Compared to the regular model, the rugged-ish Activ adds an extra 0.4 inches (10 millimeters) of ground clearance thanks to a modified suspension, but that certainly won’t be enough to give the car real off-road credentials. In addition, Chevy has also slapped on some plastic body cladding akin to a real crossover. A pair of roof rails has been added as well, along with a slightly reworked front grille, fresh 15-inch alloy wheel design, and different fog lights with modified lamp housings. Stepping inside the cabin, Chevy is being generous with the standard kit as the tiny crossover gets air conditioning, power windows, remote keyless entry, rearview camera, and cruise control. In addition, it also benefits from an infotainment system with a seven-inch touchscreen with support for both Apple CarPlay and Android Auto integration. 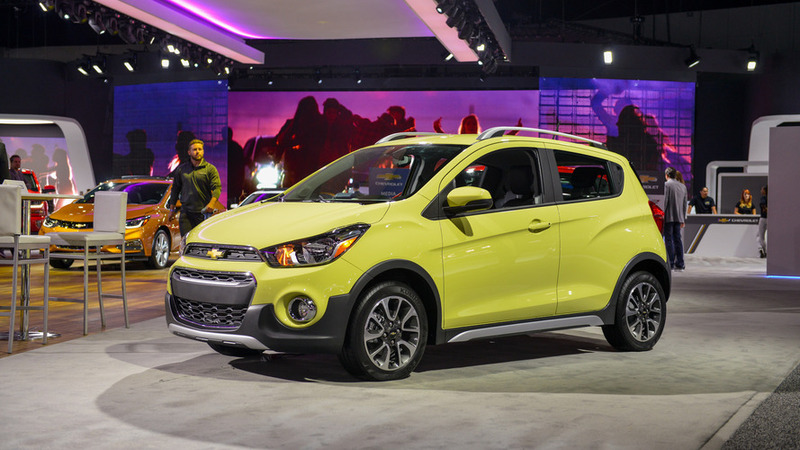 Like the regular Spark, the butch Activ variant currently on display at the Los Angeles Auto Show is motivated by a naturally-aspirated 1.4-liter gasoline engine with 98 horsepower (73 kilowatts) and 94 pound-feet (127 Newton-meters) of torque delivered to the front wheels, without the option of an AWD setup. 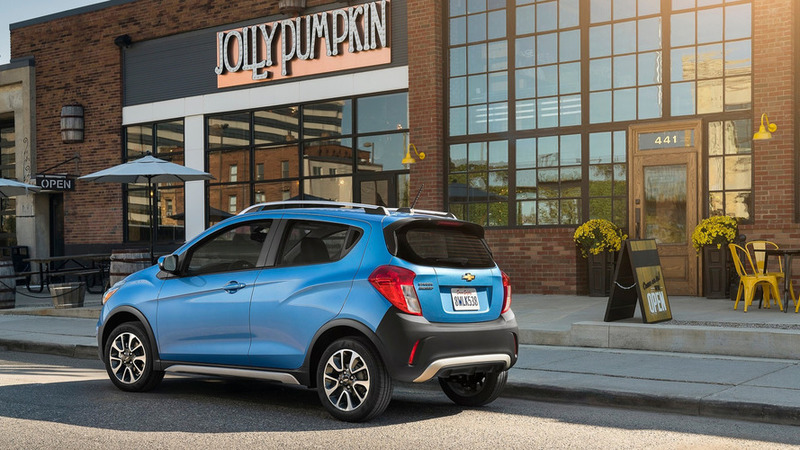 When equipped with the manual, the Spark Activ will return a GM-estimated 29 miles per gallon in the city and 37 mpg on the highway, while with the continuously variable transmission it will do 30 mpg and 37 mpg, respectively. 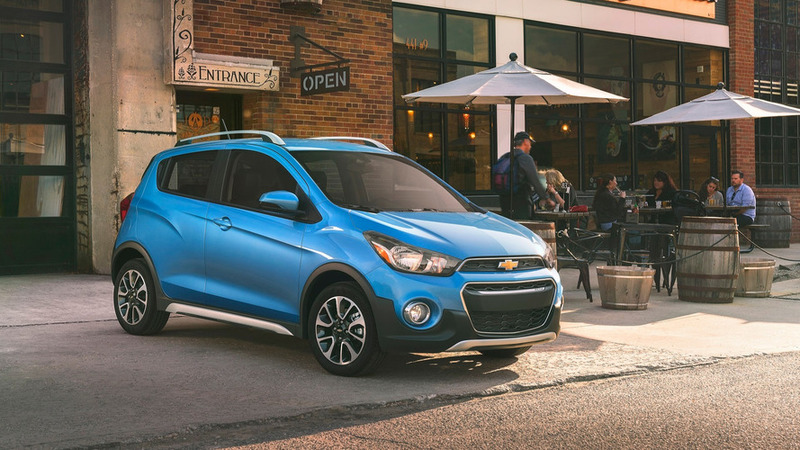 The 2017 Chevy Spark Activ follows the same recipe used by other ruggedized hatchbacks in Europe, such as the budget-friendly Dacia Sandero Stepway, the somewhat posh Opel Adam Rocks, and my personal favorite, the Hyundai i20 Active. It will go on sale in United States in the first quarter of next year and is going to cost $16,945 when fitted with the manual gearbox and $18,045 should you want the CVT.